(1895-1971) Lenora Mattingly Weber was born in Missouri and moved to the plains of Colorado with her family at age twelve. At sixteen she was riding in rodeos and Wild West shows. 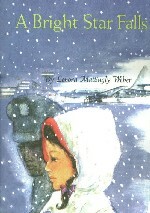 Her love of the outdoors and of family (she had six children) continued throughout her life and are reflected in her books. 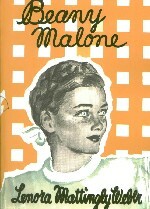 Her most famous character, Beany Malone, was known to have an Irish temper and determination and an endearing quality that was good-hearted and easy to identify with. Series books can be addictive and wonderfully nostalgic of our own childhoods, so there's little wonder that the Beany Malone series is back in print. These new paperbacks are nice modern renditions of the originals. *Meet the Malones. Thomas Y. Crowell, 1943. *Beany Malone. Thomas Y. Crowell, 1948. 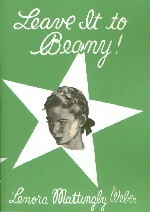 *Leave it to Beany! Thomas Y. Crowell, 1950. 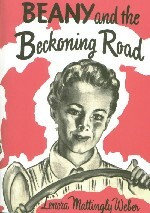 *Beany and the Beckoning Road. Thomas Y. Crowell, 1952. *Beany Has a Secret Life. Thomas Y. Crowell, 1955. *Make a Wish for Me. Thomas Y. Crowell, 1956. *Happy Birthday, Dear Beany. Thomas Y. Crowell, 1957. *The More the Merrier. Thomas Y. Crowell, 1958. *A Bright Star Falls. Thomas Y. Crowell, 1959. *Welcome Stranger. Thomas Y. Crowell, 1960. *Pick a New Dream. Thomas Y. Crowell, 1961. *Tarry Awhile. Thomas Y. Crowell, 1962. 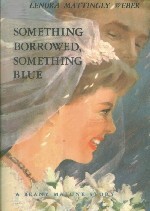 *Something Borrowed, Something Blue. Thomas Y. Crowell, 1963. *Come Back, Wherever You Are. Thomas Y. Crowell, 1969. *The Beany Malone Cookbook. Thomas Y. Crowell, 1943. *Don't Call Me Katie Rose. Thomas Y. Crowell, 1964. *The Winds of March. Thomas Y. Crowell, 1965. *A New and Different Summer. Thomas Y. Crowell, 1966. *I Met a Boy I Used to Know. Thomas Y. Crowell, 1967. *Angel in Heavy Shoes. Thomas Y. Crowell, 1968. *How Long is Always? Thomas Y. Crowell, 1970. *Hello, My Love, Good-bye. Thomas Y. Crowell, 1971. *Sometimes a Stranger. Thomas Y. Crowell, 1972. Wind on the Prairie. Thomas Y. Crowell, 1929. The Gipsy Bridle. Thomas Y. Crowell, 1930. Podgy and Sally, Co-eds. Thomas Y. Crowell, 1930. A Wish in the Dark. Thomas Y. Crowell, 1931. Mr. Gold and Her Neighborhood House. Thomas Y. Crowell, 1933. Rocking Chair Ranch. Thomas Y. Crowell, 1936. Happy Landing. Thomas Y. Crowell, 1941. Sing for your Supper. Thomas Y. Crowell, 1941. Riding High. Thomas Y. Crowell, 1946. My True Love Waits. Thomas Y. Crowell, 1953. For Goodness Sake! A cookbook with Greta Hilb. Thomas Y. Crowell, 1964.